Who does not like beef sticks? They are tasty, packed with protein, and can last quite a while if preserved properly. However, it seems like every year they get more and more expensive to buy at the grocery store and not everyone knows how to make them at home. It is common for us to spend almost $10 on this quick snack these days. If you learn how to make it at home, it can save you hundreds of dollars. 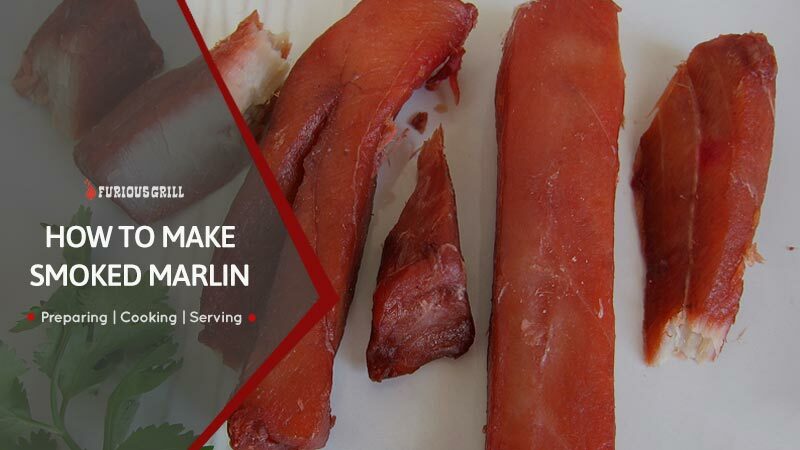 In this article we will demystify the process of how to make beef sticks at home that your family will love by showing you a quick and easy recipe. When you decide to make this snack at home​, there are a few factors and methods to consider, based on your needs and preferences. I always enjoy the flavor of smoke on any meat that I prepare. However, using or buying a ﻿smoker to cook meat can be a bit of challenge and you have to know how to properly do it. The same thing may happen if you decide to smoke beef sticks. It can turn out to be a little challenge for you and you have to know how to properly do it. The main secret for smoking this snack is that when we apply a low level of heat to this meat, the purpose is to dry it and not to cook it. This requires a consistent temperature below 200°F. The issue is that with many smokers, it is difficult to keep your temperature below that level. If you are confident in your smoking abilities, keep a careful watch on the temperature. If the fire gets too hot, you will have to remove the meat until it cools down. The oven gives us the most control over temperature, so this is how I normally suggest preparing beef sticks at home. However, feel free to try the smoker method at the same temperature and cooking time listed below, if you are confident enough on your smoking skills. ​Another thing to consider is to decide what kind is your favorite and which one you want to cook. Also, please have in mind that these recipes do not have any cheese or jalapenos inside and do not have a casing. For sticks with cheese or jalapenos, you really need to have a casing, which is the second recipe found in the next section of this article. Note: There are variations to this recipe, so feel free to try something new. If you like spicy foods and want to go for a spicy cook, you can add some cumin, cayenne, and crushed red pepper to the mix. If you want a fattier flavor profile, add some pork sausage. Just be creative and add some extra ingredients based on your preferences. Step 1) Mix all of your ingredients thoroughly in a large bowl. Make sure your spices are mixed before applying to the meat. This ensures that you do not get pockets of strong spices inside your finalized cook. Step 2) Cover your bowl with plastic wrap and let it set in the refrigerator overnight. This lets the meat absorb the flavors of your spices. Step 3) Take the bowl out of the fridge the next day and uncover your bowl. Mix the meat again. If you want to make something delicious, you need an even and thorough distribution throughout the meat. Step 4) Cover the bowl again and let it set in the refrigerator overnight once more. Step 5) The next day, take the bowl out of the fridge and line a baking sheet with parchment paper and form your meat into logs. You want them to be about eight inches long and two inches in diameter. Space these on the baking sheet at least two inches apart. Step 6) After you properly formed them on the baking sheet, start baking at 150°F for eight hours. If you want the best possible results, turn the formed sticks every two hours. That's it! The naked beef sticks are ready. You can now let them cool and store these in the refrigerator for two weeks or in the freezer for six weeks. Step 1) Mix the meat and the spices in a large bowl. Step 2) Take the jalapenos and chop them. If you like spicy foods, leave in the seeds and interior membrane. For mild finalized cook, trim it out. After you finish chopping, mix them into your meat. Step 3) Flatten out your meat and then add your shredded cheddar cheese. Start mixing it gently but be careful to not get too aggressive as you do not want your cheese to turn into mush. Also, you must be careful about leaving this meat in the refrigerator overnight because the spice level can intensify or fade. So, you are good to go ahead and prepare the sticks right after you finish mixing them. Step 4) Start forming your meat into logs and prepare out your meat gun. Feed your collagen casing onto the spout. Fill your gun with meat and start to pump it out through the spout. Squeeze out any air and tie the end of the casing. Then slowly fill it all the way, being careful to avoid any air bubbles. Fill the whole casing and tie the other end. Repeat this process for all your meat. Step 5) Start your oven at 150°F and let it preheat. If you have properly sealed your casings, you can put the beef sticks directly on the center rack and let it cook for eight hours. Step 6) After 8 hours of cooking, remove them from the oven and let them cool. Step 7) Cut the sticks to a convenient length and store in the refrigerator for two weeks or in the freezer for six weeks. Making your own beef sticks can be a fun project with which to get your family involved. It easy, fun and you will end up with a delicious snack sticks. If you like venison meat, then you can try to substitute venison for beef and use up some of your freezer meat if desired. Just be sure you add plenty of pork or beef fat to the meat. This project can help you fill your freezer with a delicious snack, and can actually save you some of your money at the grocery store. Hopefully you will have as much fun learning how to make beef sticks as our family did. It can be an enjoyable cooking experience for years to come. Thanks for this! I’ve been looking for a recipe for meat sticks without all the fillers that are in commercial brands. I have a few questions though. I have Bolner’s Fiesta brand curing salt, which seems to be mostly just sodium nitrate, it reccomends using 1 teaspoon per 5 pounds of meat, would using this plus adding a few teaspoons of sugar create the same result? Also my electric oven only starts at 200 degrees (below that is WARM) would cooking the sticks at 200 degrees make a huge difference? And I also don’t have parchment paper at home and was planning on lining the baking sheets with aluminum foil, hoping that won’t negatively affect the end result. As for your questions: a) You are free to use any curing salt brands, with or without sugar. It depends on your preferences and what you want your beef sticks to taste like. b) If you cook at 200°F, the cooking time will be much faster and you have to regularly check and turn the beef sticks to make sure they don’t get cooked only on one side. c) If you use aluminum foil, it will not affect the end result. Just make sure that you turn the beef sticks regularly because the aluminum foil will cook the down side a bit faster. If you have any other question, feel free to ask me. Hi, I found that the mixture was much too dry for it to work in my Lem stuffer with the casings. I needed to add almost 3 cups of ice cold water to prevent it from blowing out around the gasket and blowing out of the side of the casings due to the small horn required. I used high temp cheddar cheese too, it holds its shape much better. The added water took longer to evaporate, but the results were very good. The lowest temperature setting on my oven is 200 degrees. What do you suggest I do? In your case, I would recommend to continuously monitor the temperature and if it gets too hot, (there is a high possibility that it will get too hot if the 200° is the lowest setting), you have to remove the meat out of the oven until it cools down a little bit. I think this is the best thing you can do. Thank you. I will keep close watch and do what you have suggested. I’m hoping to try this but my oven starts at 200, I have a food dehydrator that goes down to 150 degrees. Will that work, or will it dry out the meat too much? Actually, to be honest, I have never tried it on a food dehydrator. You can do a small test by only cooking a small portion of the meat on a food dehydrator and if it turns out good, you can cook the rest. As for the smoked salt substituting, I think there would be no problem at all. It all depends on your taste.